Truck-side advertising delivers between 30,000 and 70,000 impressions per day, based on whether it is a regional or national operator. "With over 300,000 trucks, buses and ad trailers in 300 markets and 48 states, we can reach and saturate any size U.S. market," says Daniel Sage of Mobile Ad Marketing. 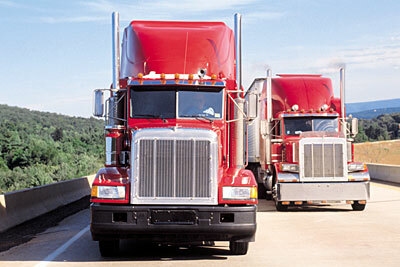 "We have fleets of trucks and trailers that travel hundreds of miles a day or around a city block. Nearly 150 million Americans commute every day, and this form of outdoor media is rapidly becoming one of the best tools for advertisers to communicate their messages."